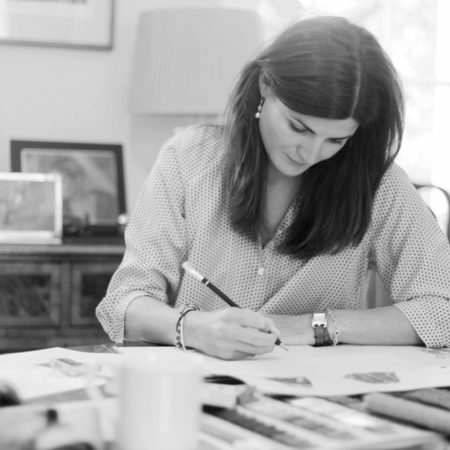 The Pip Howeson bespoke tailoring service is for those who seek a tailored garment that is truly their own; the intensely personalised result of a series of private consultations with Pip Howeson at her London atelier. The ultimate in fit, finish and finesse—made in England from the finest British fabrics. Fifty years ago most women had a close relationship with their dressmaker, who was someone who understood their shape and what fabrics and shades best suited them. And that’s how I see my role. 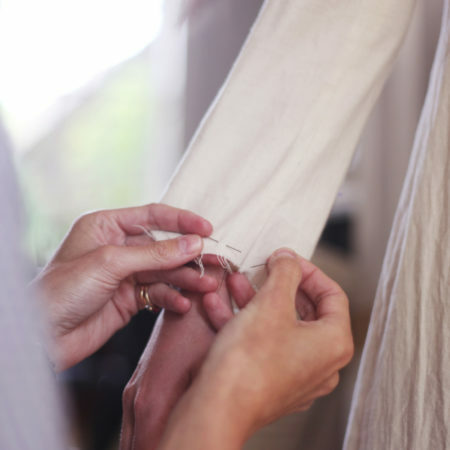 The bespoke tailoring service is a 12-stage journey, attuned to the requirements of the individual, which takes place over a period of 3—4 weeks*. Pip Howeson specialises in bespoke coats and jackets for men and women, however together you can do anything that’s sartorially possible; whether it’s a custom-made coat, jacket, dress, skirt, trousers or gown. You can watch a film or television show—Downton Abbey, perhaps—and tell Pip that you’ve been inspired by something in it, which you’d like her to use as a basis for a creation on which you’ll collaborate. You might wish to tear a picture out of an old magazine and ask Pip to fashion something in its image. Or perhaps you have a garment in your wardrobe that you have inherited and love but that you feel might work better in a more modern fabric? Maybe you’d like elements of your family crest hand embroidered on your collar? Or how about something fun and witty like photographing fake fur and printing it onto a silk lining? Pip has woven fabric to match racing colours and embroidered details to mirror gun etchings. Pockets have been lined in cashmere and monograms designed. Pip has also commissioned buttons that have been engraved with a coat of arms and had others fashioned of polished horn. If you can imagine it, Pip will try her best to execute it. 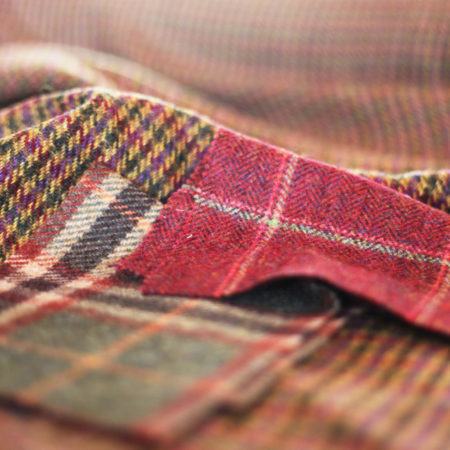 During your appointment, you and Pip will select your choice of favourite fabrics from a library of swatches —that includes silk twills for dresses to Irish plaids and Scottish tweeds. (Each piece, like a work of art, has a provenance; wending its way from a journey that includes everything from highland sheep to historic mills.) You’ll also choose what you want from a treasure trove of finishes — from soft leather trimmings and to silk linings in signature prints. You may be someone who hates shopping and loathes the buying experience. Pip strives to give you the buying experience of a lifetime: exclusive, individual and creative. Discuss your requirements in a homely environment, surrounded by antiques, whilst sipping wine by an open fire. Or perhaps you have a body that you’d like to change? For the human form in all its gorgeous shapes and sizes, Pip gets such joy from helping you select a design that will show you at your best. And then from your deriving confidence from wearing her creations. The difference a tweaked sleeve can make for an arm length or how the immaculate cut of the back will achieve a jacket that fits perfectly in line with the contours of the body are a source of pride for her. Like you Pips creations are individual and utterly unique. A lot of Pip’s commissions for bespoke pieces are for presents —whether for the 21st birthday boy, the wife celebrating their silver wedding anniversary or for that special gent’s 60th birthday. From a cashmere herringbone blazer that echoed the design of the birthday celebrant’s former school uniform to a silk velvet opera coat featuring the client’s art replicated on the lining, I do whatever it takes to make a present unique.